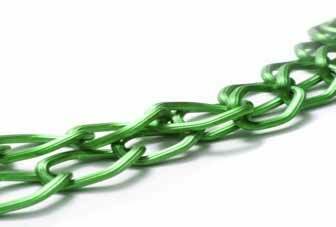 Green Supply Chain Management | Business Article | MBA Skool-Study.Learn.Share. No matter how much we resist change, it is indeed by default the human nature to welcome and cherish positive change. Staying in this world and living in this generation, it must be very clear to us that we have inherited this world and its resources from the previous generation but at the same time, borrowed this from the future generations to come. We must keep in mind the needs and rights of the upcoming generations too while fulfilling our needs and practicing our rights. Thus, with this notion in my mind, I believe that the concept of “Green” must have risen. It is eventually good news that over rising concerns of turbulent climatic conditions and harsh weather facets, organizations and business houses have started imbibing the most-wanted theories in management- The Green Supply Chain Management. A company’s supply chain involves everything: right from the product’s manufacturing idea to the R&D to the actual development, distribution and then sales, and even the after-sales. The basis of companies’ delivery of valued services to its customers largely hinges upon the company’s network of supply chain, from suppliers, to transporters to the retail channel. In managing the entire process, companies have brought about innovation and cost-saving measures in a lot of aspects, for instance, with the Just-in-Time Inventory (JIT) technique to the partnering with the suppliers and distribution networks. Such changes have not only been effective but also efficient as well, allowing for the companies to save millions of dollars accruing just to the change! Now, with the rising concerns of consumers, Environmental agencies and governments alike, business houses have resorted to the idea of “Green” to kill two birds at a time: become environment-friendly and also increase the bottom-line. The idea of green supply chain includes a lot of areas and is not just confined to cutting down waste and managing the disposal of hazardous wastes. It also refers to the application if sophisticated processes such as the Material Resource Planning systems, the Economic Order Revised Quantity, and also optimizing number of shipments per year, among others. A cut in the advertisement and promotion budget would help raise the profits which is very apparent. But, on a brighter note, the application green methods to supply chain, as mentioned above, have actually failed to grab the attention of most of the executives, let alone the very few who have pioneered in this art and reaped the benefits in millions. The relationship is a double-sided arrow. Thus, the idea behind application of green supply chain management, in my opinion, lies upon the revision of the entire existing practices and finding out ways to lower costs, henceforth, coming up with “green” solutions to it. Of course, if done in a proper way and taking care of the possible environmental issues, cost-cutting measures could result in “greener” supply chain and also, vice-versa. It was (or also is) often misunderstood that following processes that are environmental-friendly would add economic burden to the company. Focus, hitherto, was on cost-cutting measures and not towards environmental protection and sustainability. However, in the recent years, voices of sustainability have soared and also mass concerns towards its virtues have gained momentum. Interestingly, Patrick Penfield (Whitman School of Management) defined a green sustainable supply chain as "the process of using environmentally friendly inputs and transforming these inputs through change agents - whose byproducts can improve or be recycled within the existing environment. This process develops outputs that can be reclaimed and re-used at the end of their life-cycle thus, creating a sustainable supply chain” in his article on “Sustainability can be a competitive advantage”. It is very apparent from the definition and common sense that opting for reuse and recycle would eventually save depleting resources and also save a lot of money that would have otherwise been spent on producing or making new out of scratch. It saves time, money, and resources, all at one go! In order to provide guidelines on the issue, the United States Environmental Protection Agency (EPA) revealed a handbook on “The Lean and Green Supply Chain: A Practical Guide for Materials Managers and Supply Chain Managers to Reduce Costs and Improve Environmental Performance”. The guide very meticulously presents success stories of large and well-known companies which adopted the concept and booked large profits, and not just doing away with the environmental fees and charges. For instance, the guide mentions that General Motors reduced its disposal costs by $12 million by establishing a reusable container program with its suppliers whereas Andersen Corporation, Intel, Commonwealth Edison, GM, and 3M have improved their operating efficiency by integrating environmental considerations into key materials management decisions. Of course, the idea is scalable and applicable to all sorts of industries and companies, not alone manufacturing. While it seems more practical for manufacturing companies, for instance, Battery producers like Amaron, Exide (such that they can bring about a change in their supply chain by bringing about an effective call back of used and old batteries for reuse and proposal disposal, and of course they are doing their part in this), it is equally practical for other companies like the retail giant Walmart, Kmart, Tesco or even consulting giants McKinsey, BCG, Accenture etc. It is just that the concerned or the top management needs to have that “green” eye to look at its operations and supply chain to figure out what steps can be taken to march in the “green” path. It is indeed high-time that the integration of environmental aspects be done into the business process in order to evolve out with sustainable practices. We would not want to remain unanswerable to our future generations by neglecting our obligation of protecting the environment, the resources and the “green” planet for them. Let’s keep the planet green, forever and ever. This article has been authored by Vipul Kabra from FMS.